ACTUALLY THERE IS INCREASING DEMAND FOR TRANSLATING THE EXISTING WEALTH OF CLIMATE DATA AND INFORMATION INTO CUSTOMISED TOOLS, PRODUCTS AND SERVICES (‘CLIMATE SERVICES’). With the mission of Bridging the gap between climate forecasters and sector expertise, GECOSISTEMA PROVIDES CLIMATE intelligence, DATA AND TOOLS FOR SUPPORTING DECISION-MAKERS IN TAKING WELL INFORMED DECISIONS IN ORDER TO BOOST RESILIENCE AND ADAPTATION CAPACITY BY ADDRESSING EXISTING OR EMERGING RISKS IN MULTIPLE SECTORS. GECOsistema innovative solutions are developed in tight connection with universities (UNIBO) and research centers (CMCC, SMHI). Since 2018 GECOsistema joined the EIT Climate-Kic consortium, an European knowledge and innovation community, working to accelerate the transition to a zero-carbon economy. GECOsistema has been and is currently involved in several research programme focused on climate intelligence and products development (CLARA_H2020). Moreover in order to better meet and satisfy the specific users need the services are co-designed and co-developed engaging the final users following and AGILE workflow. The amount of Renewable energy production from hydropower and photovoltaic plant is strictly dependent by hydro-meteorological conditions. The possibility to predict the energy production in climate long-term or seasonal short-term scenario represents a key aspect for planning resources, optimizing the production and economical revenues. 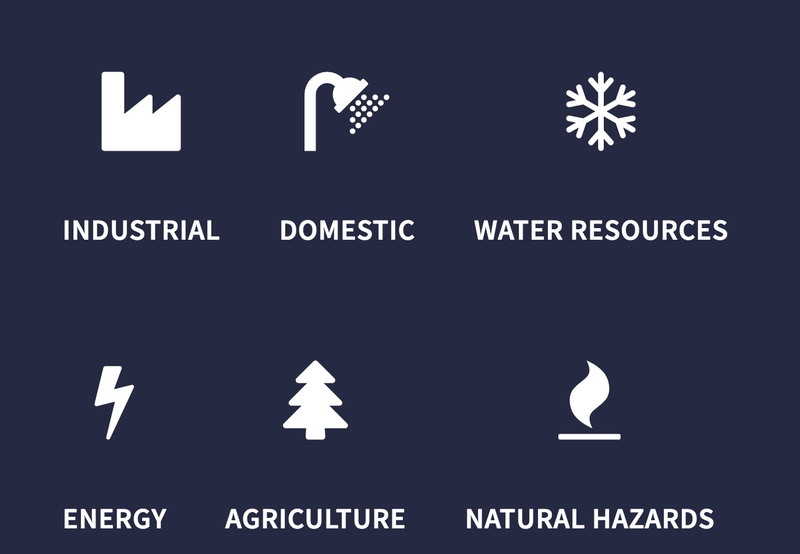 GECOsistema develops specific Climate-Service with the aim of supporting decision making combing seasonal forecasts knowledge with artificial intelligence (Machine/Deep learning) algorithms to forecast of hydroelectricity production.